BBQ Fanatics: We're competing in the American Royal! We're competing in the American Royal! That's right, two of the BBQ Fanatics team are heading to Kansas City at the end of September to take part at the massive American Royal BBQ competition! We're accompanying a slice of the competitors at the BBBQS circuit and the president (?) of the BBBQS on their annual trip. As you can imagine this is a massive deal for us and we're very excited. 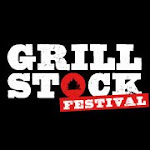 Its a great chance to learn loads and meet some of the most BBQ obsessed people in the world, not to mention to see some proper rigs and eat a LOT OF MEAT.